Matt Farah takes us on a journey to see just how the world's first EcoBoost-powered Ford Raptor performs off-road and in the mud. Matt Farah is one lucky dude for being able to drive this custom-built Ford Raptor. Powered by an EcoBoost engine instead of the standard 6.2-liter V8, this one-off EcoBoost Raptor produces at least 410 horsepower and 500 lb-ft of torque. This is in comparison to the stock Raptor&apos;s 410 hp output. Starting off with a 2012 EcoBoost F-150, builder SDHQ added the Raptor&apos;s frame and suspension. Farah says he averaged 16.8 mpg compared to 11.5 in his own Raptor, which would save him some $1,350 a year in gas. Claiming it&apos;s probably even faster than his stock Raptor, Farah actually thinks it produces more horsepower than what SDHQ claims. Furthermore, it feels factory solid with no squeaks or rattles and has flawless fit and finish. 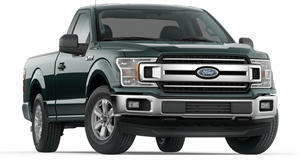 It&apos;s an extremely impressive package and we really hope Ford is paying close attention.